Pros: Easy to use, full of useful feature. It make easy and valuable migration to innovative achitecture based on containerized approach. You can use a community edition (Openshift Origin) or chose the RED HAT edition. Based on Kubernetes. Fully integrated with many other useful tool for monitoring and manager the full software cycle, until the deploy. Cons: Documentation is still poor. Not so fast in receive support from community. Security aspect need to be better debeate. Pros: One of the best PaaS platforms that I've used. I've sent an Java application there and I had a best experience. It works with Java, Ruby and more. Eclipse extension works very well with OpenShift. But the free plan have some limitations. 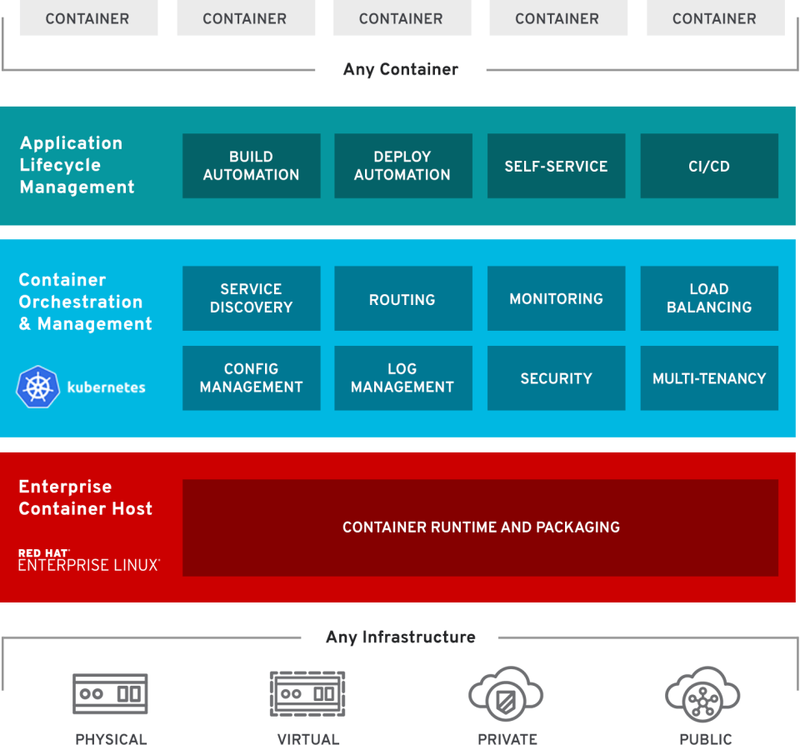 And the OpenShift is very good if you're learning about Java containers and how it works. Cons: Free plan is not too good and it has some limitations. Comments: I have been using OpenShift for more than 2 years now. I have seen lot of improvements in Openshift and it's getting better and better. The most important thing is that it provides a lifetime free account which can be used as a hands on over OpenShift. Most important, you can attach your own domain to your application, even on free account. Openshift works using gears and cartridges. It has now lots of cartridges available and you can also create new custom cartridge. Cons: 1. You can sudo login to your gear, but you can always contact customer care they will handle such situation. Cons: It's not easy to deal with, and for some issues the vendor takes long time to get it resolved, so it will be great if the user interface enhanced with more help options.